Lemax 'A Christmas Carol Play' Table Piece depicts a delightful animated & musical seasonal theatre group putting on a stage show of the most famous Dickens Play "A Christmas Carol". Dickens Victorian cast members move in and out of the stage in sequence whilst Carolers on stage turn left and right to sing Tidings Of Comfort & Joy. Suitable for placement in and amongst a seasonal Lemax village Christmas scene. A real Christmas spectacle centrepiece for a Lemax Caddington Village themed display. A treasure for Christmas lovers and Lemax collectors alike, this showpiece collectable model joined the growing Lemax Caddington collection in 2014. 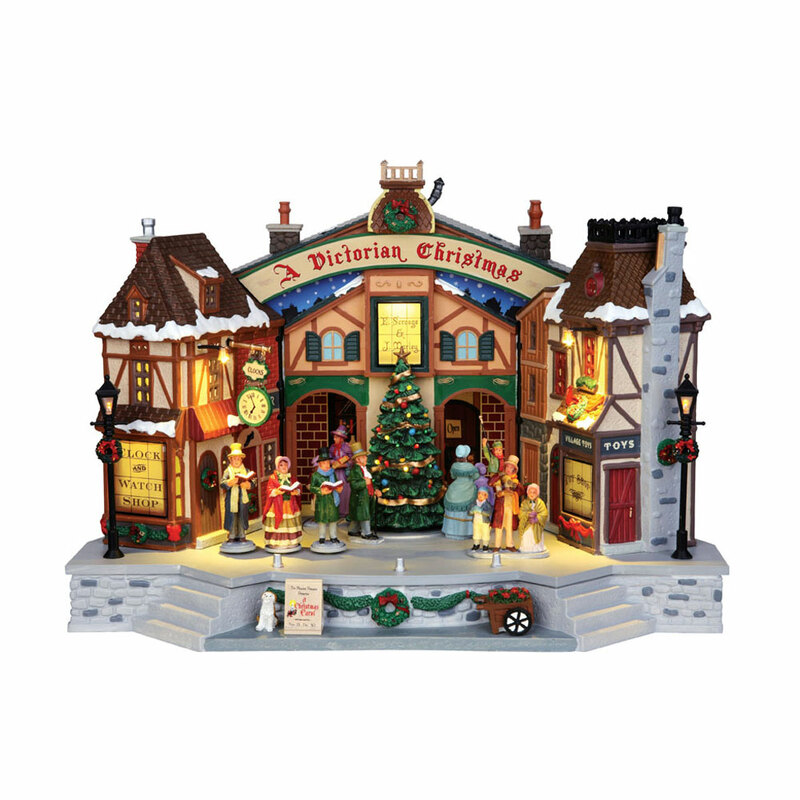 A Christmas Play is a delightful self standing animated, illuminated and musical stage show on individual base to compliment your seasonal Lemax Village.